We’ve been thinking about credit unions a great deal of late. In recent years, we’ve designed websites for a handful of credit unions (e.g., WSECU, Columbia Credit Union, and Solarity Credit Union) which included extensive research on the industry. We’ve also been contacted by numerous other credit unions over that same period, including detailed discussion of their goals and frustrations. 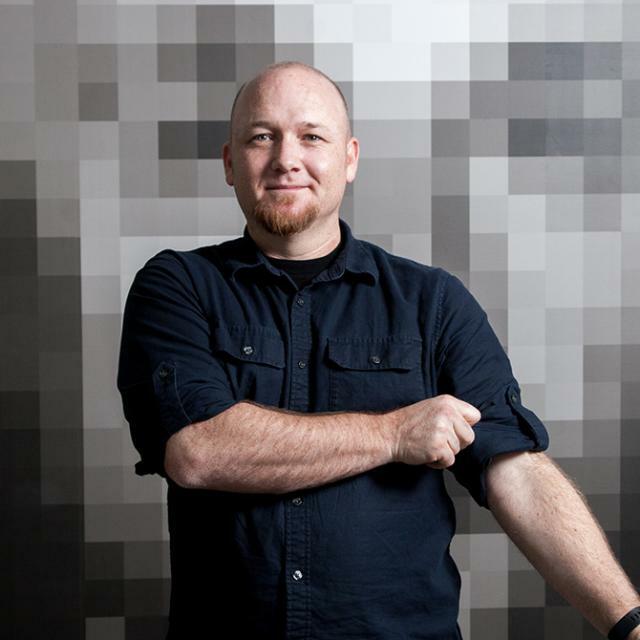 Our creative director likes to quote Sun Tzu’s Art of War, and although we sometimes roll our eyes at him, the analogy to picking your battles is extremely apt here. Large financial institutions have marketing and advertising budgets orders of magnitude greater than even the largest credit union has. They blanket advertising in all mediums and have the buying power to sustain that spend long term. Why fight them on their turf? At Gravitate, we believe that when you’re up against a larger competitor, success requires out thinking, out branding, and providing better service than your competition does because you’re not going to outspend it. Ads can be powerful, but they’re also expensive. Oftentimes, credit unions end up advertising on low-cost, low-return mediums, such as on the radio or bus wraps. These may deliver impressions, but they typically only receive a tiny response from people who see them. Even when they do work, they aren’t effective techniques to reach the younger demographics you’re seeking. I received one of these last week from a local credit union, a one-sheet that was glossy, big, and clearly printed on expensive stock—it was also completely impersonal, focused entirely on loan rates and, if I hadn’t looked at the name, I would have thought it came from Wells Fargo or Bank of America. The intent was to raise its visibility in my household and for me to keep the credit union in mind next time I need a loan; however, the actual effect on me was that I now view their credit union as an interchangeable commodity to be compared on rates. This is an example of something most credit unions don’t excel at. Compare the mindset of someone searching online for banking services against one who sees your bus ad while driving to work. The success of those bus ads is measured in impressions, with the hope that traffic patterns put enough of the people who are thinking of changing banks near one of your ads. Even if you get their attention in the car, you have to hope they will remember the ad when they get home. Conversely, people who initiate a web search are by definition looking at banking options. Long story short, online marketing is a lower-cost option with a higher average return on investment. The strength of credit unions is not that they always have the lowest rates, and even if it were, larger banks or lenders could sacrifice their short-term margins to undercut any offer. Similarly, any new service a credit union develops can easily be replicated. The good news is that consumers don’t make any decisions strictly based on numbers. This is especially true with money— where trust and emotion are huge components in deciding whom to trust. This is where credit unions should be winning! The strength of credit unions lies in their differences from a bank, not in their similarities. A credit union is a community. It’s local. It has members, not customers, and its decisions favor those members, not corporate profits. With that in mind, it seems obvious that credit unions should lead with who they are, over their rates—that’s branding 101. Defining the persona of your credit union, and its relationship to the community, is vital to connecting with potential members. If you want to build a strong, local brand, the time to do so is now. Larger banks are recognizing the value of local. Regional banks, like Umpqua, are forging connections to individual communities that often feel more local than do the credit unions that are actually headquartered there. Even larger banks, such as Wells Fargo and B of A are trying to make their branches feel more part of the community—granted, those two aren’t doing a great job, but if they ever figure it out, look out! Don’t get me wrong: Rates and services are important, but they’re only helpful once potential members have a reason to care about you. OK, you knew I was going to get here—Gravitate is a company that designs and builds websites, so of course we think they are valuable. Before you dismiss this as a sales technique, think about what your website does for your company and your competition. Think about the role your website plays in your marketing. Are you doing advertising? E-mail campaigns? Radio ads? Events? Sending out mailers? Meeting face-to-face with businesses to offer company-wide services? What is your goal for these campaigns? To bring in new members, obviously. What constitutes a success within that campaign? Getting potential members to research your credit union and compare you to their current bank. Where will most potential members go first? Your website. Therefore, your website plays a critical role in how successful your other marketing is. Unfortunately, credit unions are way behind most industries in how they approach their websites and overall digital marketing. Most CU sites are cookie-cutter affairs, with generic content and confusing navigation. They typically don’t serve their members or potential members; rather, most of them seem to focus on what the staff and board want from a website. 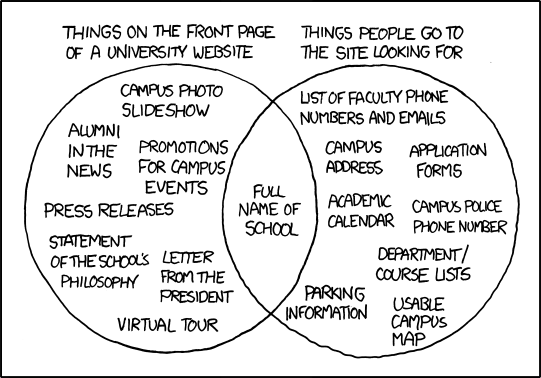 (see the venn diagram below about college websites, another industry with a similar problem). In recent years, an increasing number of successful nonprofit organizations have begun marketing themselves more like businesses. That makes sense. To be successful, you need to have a great story and get that story in front of as many people as possible—and marketing is the tool by which you do both. That said, nonprofits also operate differently from corporate businesses in important ways. Nonprofits might embrace marketing, but that doesn’t mean their resources are unlimited. As a result, they value innovation and personalized messaging to cut through the clutter of modern media. 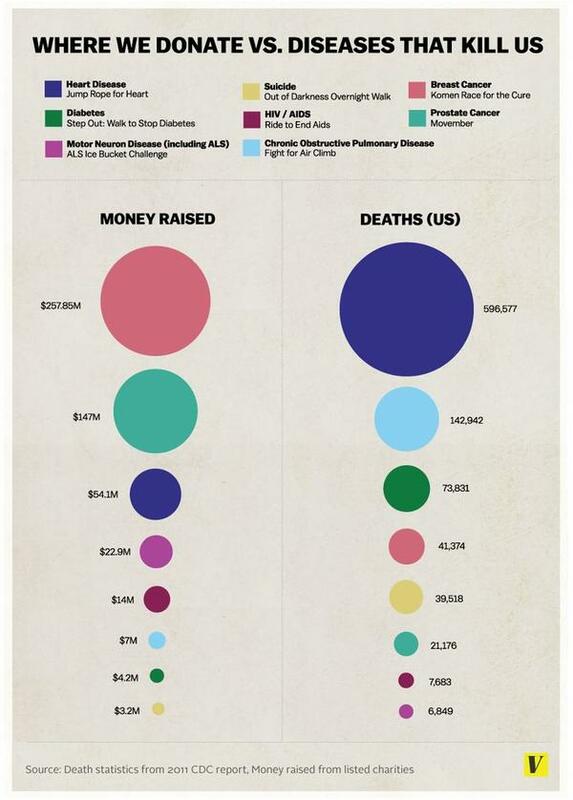 As you can see below, the donations non-profit receive don’t necessarily align with which causes are most pressing. The same is true for credit unions, if you want to build your brand and increase your membership, investing in innovative marketing is the most direct path to do so. Unfortunately, this is the opposite approach of that taken by most credit unions, who often view marketing as a dirty word. Even those that do allocate budget and staff to marketing generally see new marketing approaches as risky and stick to what they’ve done in the past. If a major strength of credit unions is their local feel and personal service, buying generic blogs or articles from a content farm should be out of the question. Not only that, you’re competing with other credit unions in addition to the large banks and lenders we’ve already mentioned—if your site has the same content as your credit union competitor, how am I supposed to trust either of you with my money? Yes, we know that writing unique content is tough. If you need some ideas, check out this blog we recently published about exactly that topic. Here’s our vertical dedicated to credit union digital marketing, but for a direct list to each resource, see below.